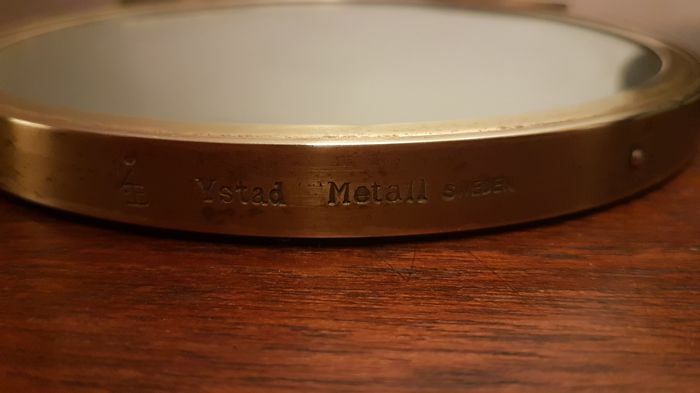 This rare Art Deco hand mirror was designed by Ivar Ålenius Björk and produced by Ystad Metall in Sweden during the 1930s. 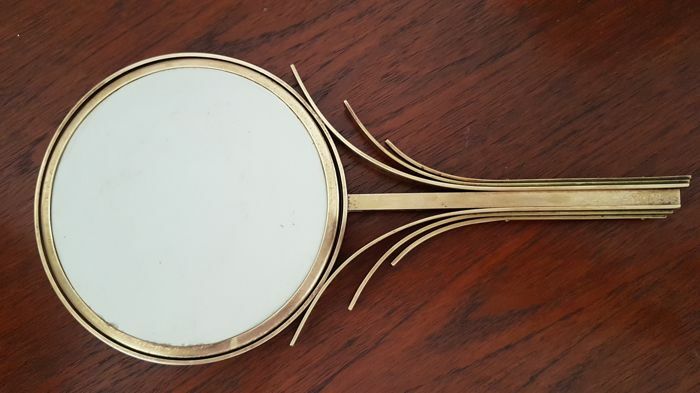 The mirror is made from solid brass. The elegant asymetrical shape is based on a Flower. 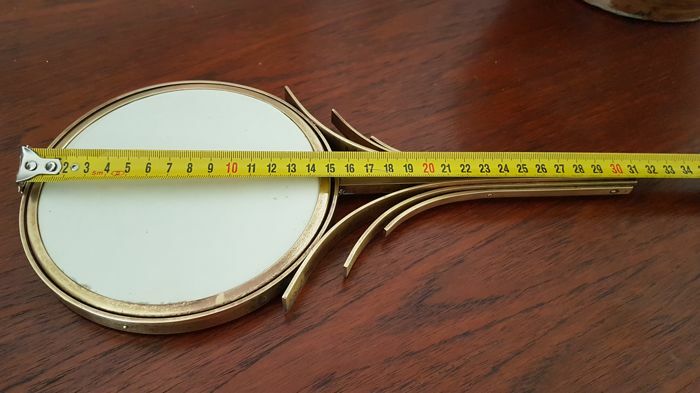 It is Marks Stamped by maker Style Art Deco Detailed Condition Very Good — This vintage item has no defects, but it may show slight traces of use. 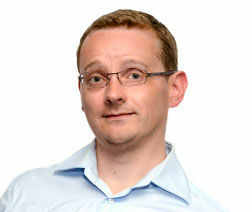 Restoration and Damage Details Patina consistent with age and useProduct. 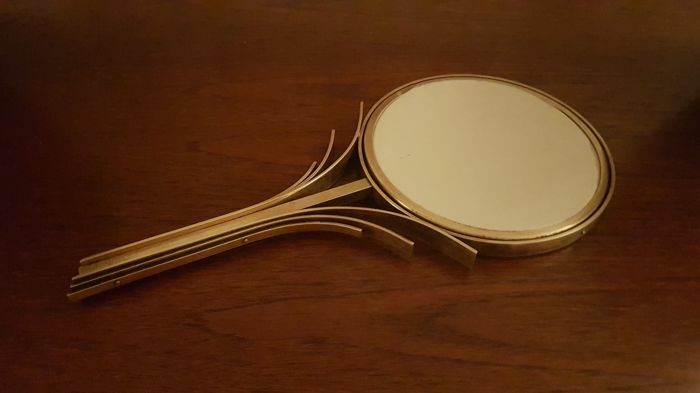 The mirror is now single sided. One side is glass mirror the other is white cardboard. It can be made dubble-sided by the buyer.